The French government said today that US industrial conglomerate General Electric will pay €50m after falling short of its goal of creating 1,000 new jobs in the country. GE had pledged to create the jobs by the end of last year as part of its 2015 purchase of the power and electrical grid businesses of France's Alstom. But shortly after closing the deal GE unveiled a series of job cuts across Europe as slumping oil and gas prices crimped demand for its heavy-duty turbines and other equipment. The company had already warned last year that it would not meet the target, though the new CEO Larry Culp confirmed in October that GE would "fulfil its commitments." It had promised to pay €50,000 for every job not created over the three-year period. The French finance ministry said after a meeting with GE officials today that the firm had created just 25 new jobs overall, meaning it would pay €50m into an industrial development fund. "GE underscored the significant of its continual investments in France during the period, and noted that despite the particularly difficult business climate, the group had done its utmost to create jobs," the company said in a statement. It pointed to a $330m investment in offshore wind turbines in France announced last year, which it expects to eventually create 550 new jobs. 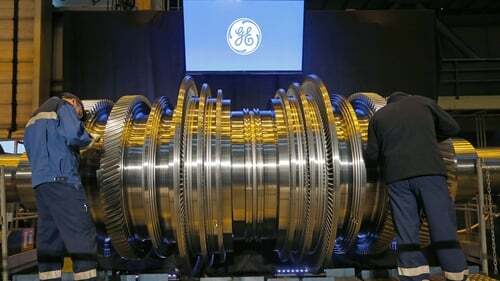 But union sources said last month that GE was planning to cut nearly 470 jobs, at its Alstom Power Systems GE Energy Power Conversion units. Under Culp the company has been trying to get its power operations on more solid financial footing, with plans to cut costs further and reduce debt. Last week the company posted a $574m profit for the fourth quarter, a welcome turnaround from the $11 billion loss a year earlier.